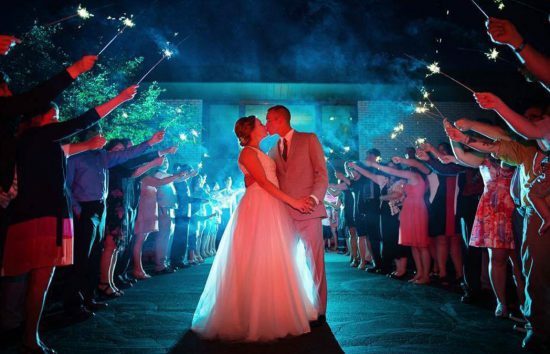 Host your unforgettable event with us! Western Lakes Golf Club is perfect for banquets, weddings, golf outings, corporate events, holiday parties, anniversaries, award ceremonies, graduations, and retirement parties. 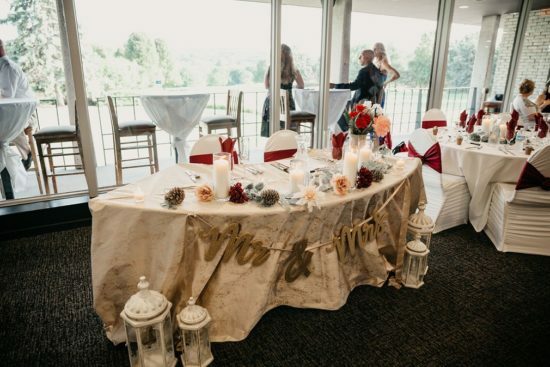 Whether you’re looking for buffet or sit-down, formal or casual, hot or cold hors d’oeuvres, wine, champagne, or soda, Saz’s at Western Lakes is the right choice! banquet at Western Lakes please download our brochure. 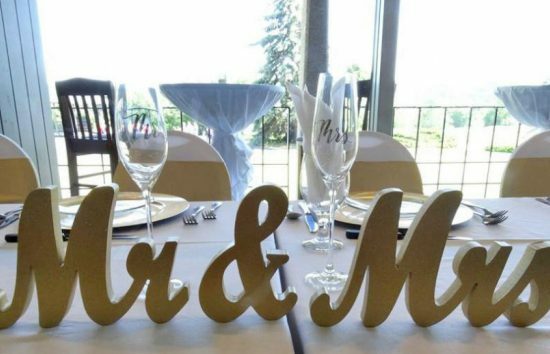 Prices • Menus • Wedding Packages • And More! Looking for an outdoor serene ceremony? 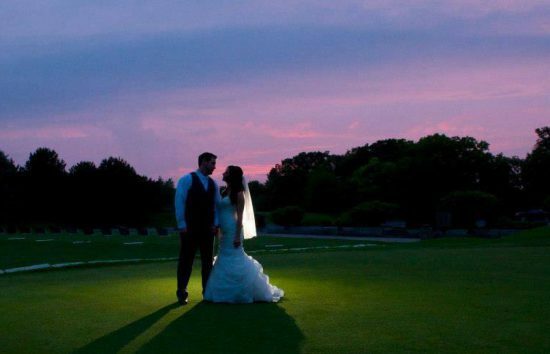 A reception venue that overlooks a golf course? 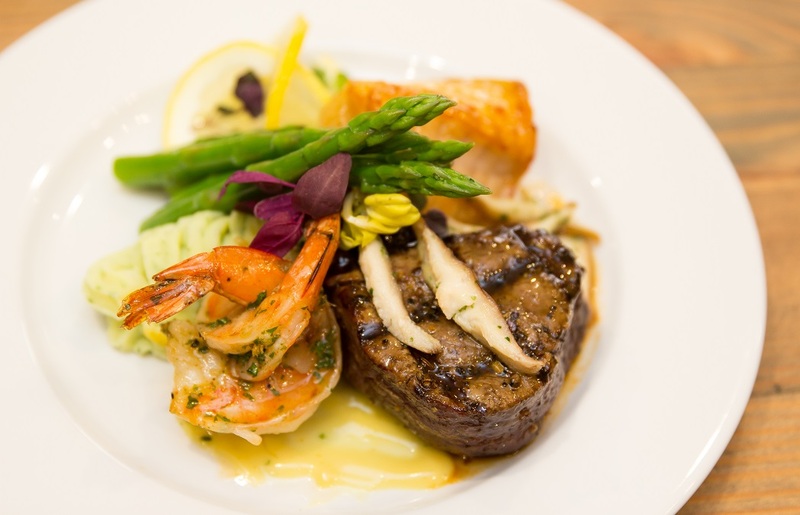 Delectable menu options with a great service staff? Western Lakes is your answer. WE DO stunning and unforgettable wedding celebrations. No room fee or minimum. 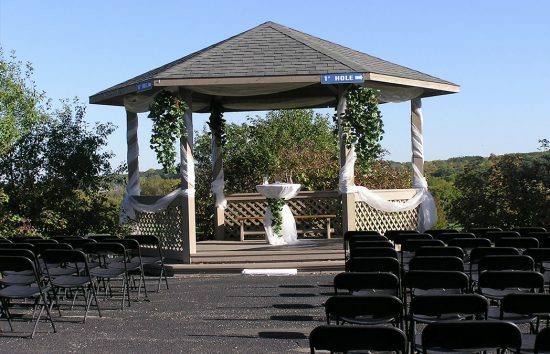 WLGC and Saz’s Lake Country Catering is an award winning venue and service. 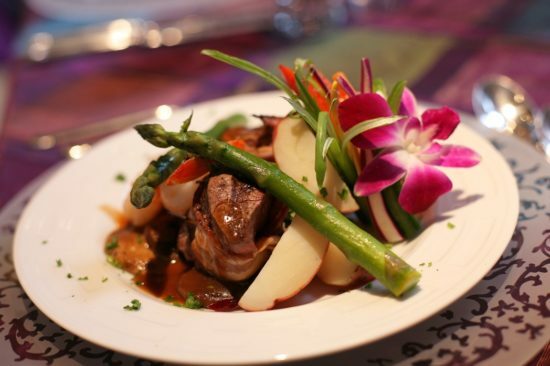 See why, stop by and check it out for yourself. 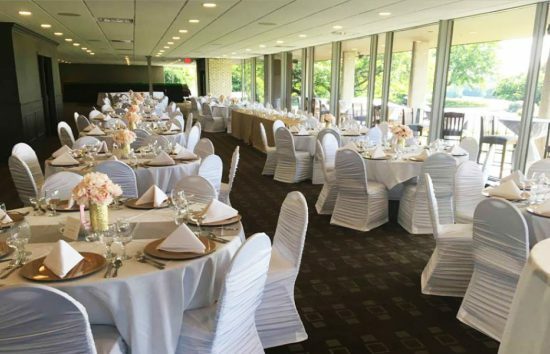 Our banquet hall offers beautiful panoramic views of the golf course. 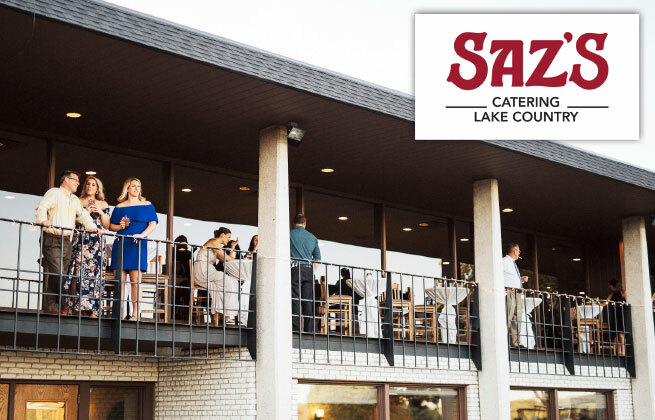 Please call Saz’s Catering Lake Country at 262-691-9796 or email chris@sazs.com to schedule an appointment. Return signed contract with deposit to confirm and secure date. A 22% service charge and applicable sales tax will automatically be added to your invoice for all food and beverage functions. All details must be given 10 days prior to event. Final guest count at this time is what booking party is liable for and cannot be decreased. Not responsible for quality of food if not served upon agreed start time. At no time will any food be allowed to be taken off premise. All food and beverage service must be provided by Saz’s & Western Lakes, with the exception of desserts furnished by a licensed baker. Party favors may not include alcoholic beverages. 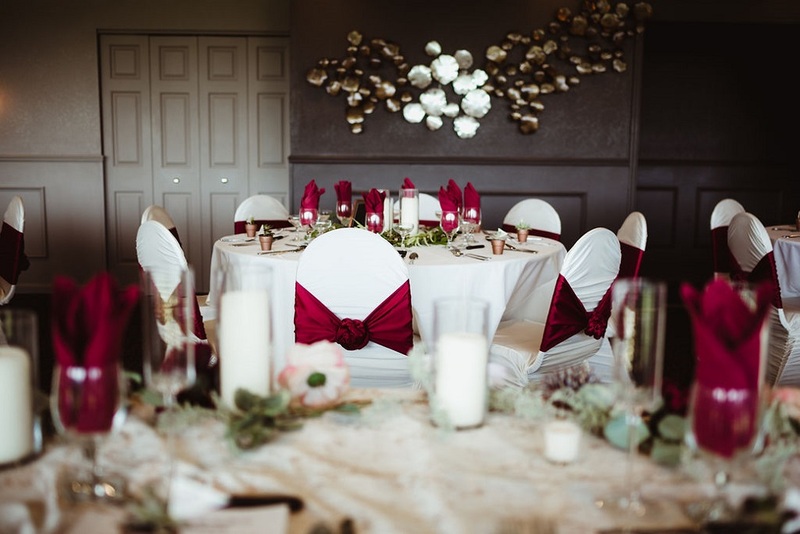 Any types of decorations are allowed with the exception of confetti or anything that damages the facility. We at no time are responsible for lost or stolen items. 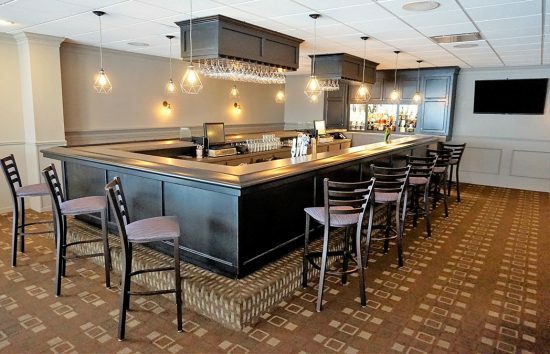 Damages to any part of the facility or golf course are the sole responsibility of the booking party. At no time will alcoholic beverages be allowed to be brought in. 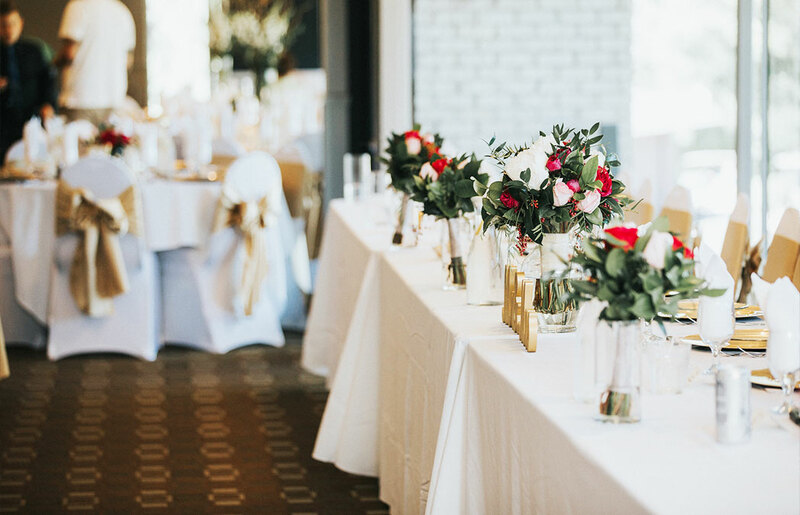 All items brought in for your wedding must be removed the night of the wedding. 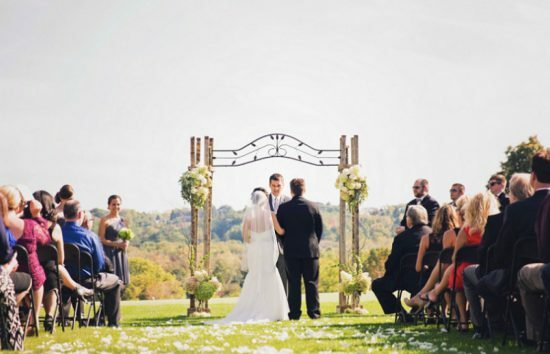 40 guest minimum for any non-wedding events.